National Lampoon's Christmas Vacation. Press the button to hear some of Cousin Eddie's most memorable lines. Batteries included. 4 1/4"W.
Items Similar To "NEW! 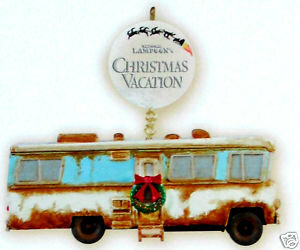 2009 Hallmark COUSIN EDDIE'S RV~National Lampoon's Christmas..."